India is one of those countries in which violence is more widespread but also the place where the popular uprising is now dictating a new awareness of the new laws and compelling the political class to a new commitment. 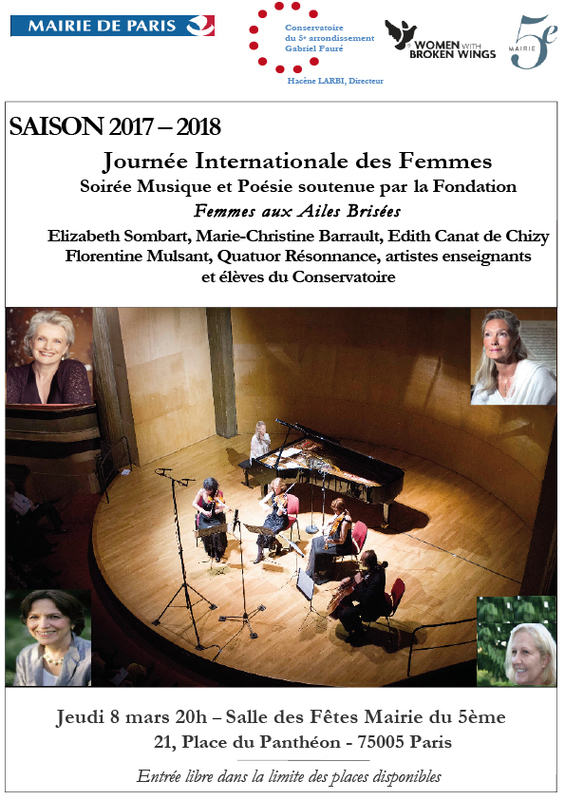 Two extraordinary artists, such as Elizabeth Sombart and Mallika Sarabhai, created a performance called “Women with broken wings”, aimed to give a contribution to a worldwide awareness. Art is in fact the most powerful vehicle for an individual and social change. Dear all, it’s a reality and the sad recent news in India strengthens us in our endeavor. It might not be just a coincidence tonight, Elizabeth Sombart and Mallika Sarabhai are premiering the show in Ahmedabad, India. For this occasion, we are finally opening the celestial memorial website. Surpassing anger but not resigning… The people of India and around the world are uniting to oppose all violence against women. It is with mixed feelings of sadness and hope that we decided to introduce you to the subject of our work for the past year. You can now enter the sky of our celestial memorial for the women with broken wings. This memorial is going to be one place where the names of the women we want to remember and honor will shine forever. While still in development, we already invite all of you who know an assassinated woman to light up a star in her name and join us in turning these terrifying events into a beautiful, peaceful and infinite sky. Tonight’s performance will then take on a special significance for all of us and for you too. For the many more who will not be physically with us in a few hours, we want to let you know that we will all be marching together underneath the sky of the broken wings. We hope that you’ll feel our dance and music as we’ll feel and know your presence. NOTICE : the show has been unfortunately canceled last minute, but for a good reason. We are actually preparing for a bigger movement in Kerala and will let you know soon. It’s with great joy that Mallika Sarabhai and Elizabeth Sombart introduced the show History of a woman with broken wings at the casino of Lausanne, this tuesday, June 19, 2012. We hope that you will be an ever greater number, being introduced to the project and supporting us.